The Abbey of New Clairvaux hosted an event this weekend called the “Monastic Experience Weekend.” It’s open to young Catholic men who want to get an experience of the life of a monk and perhaps how monastic life might benefit them in their own walk with the Lord. The monks, for their part, are more than eager to open their doors and allow these men to share in the common life and prayer. Some monks may feel hopeful that these men might even consider entering the monastery. But for someone having to coordinate these events, I often find that most of them are simply curious and/or are seeking the solace and silence of a monastery to gain a bit of clarity for their own lives. Saint Benedict in his Rule for monks counsels that the Lord often reveals what is better to the young. I was struck that the youngest of them who participated in this most recent Monastic Experience Weekend was shown the heart of monastic life after having spent a full day at the monastery. He shared with the group that chanting the Psalms during the liturgical hours of prayer with the monks was for him like being at work. 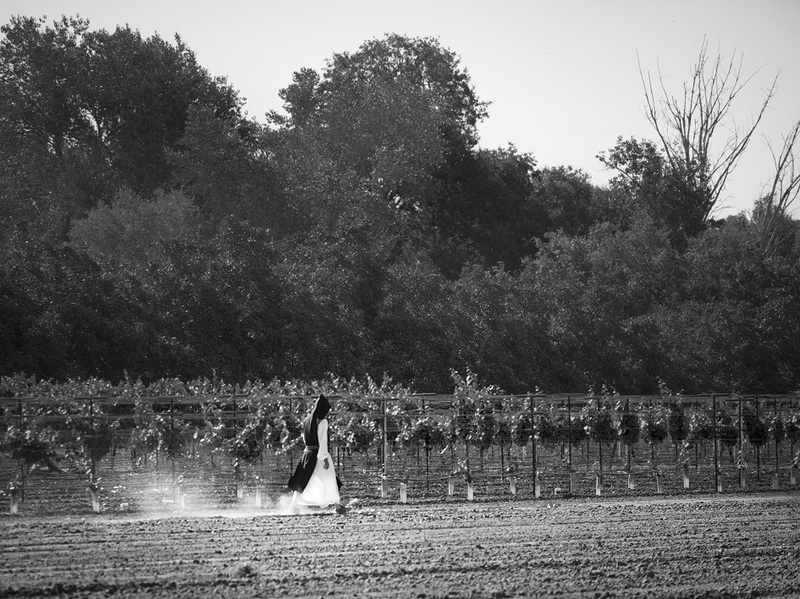 But working outside in the vineyard was for him a more prayerful experience. I had to smile because I could only agree with him. But I could sense that he was struggling with that fact. Thankfully for him the weekend had an ending. But for us who continue to live the monastic life day by day as the Rule of Benedict prescribes, the struggle continues. The real work of the monk is actually not in the vineyard nor is it in chanting the Psalms in church with the community. The real work occurs interiorly. How can I say I love God who I do not see but loathe the brother who sits next to me in choir, hacking, coughing, maybe even farting shamelessly? Or worse yet, what if I was the monk of whom the monk next to me was embattled with these bitter thoughts? No, monks did not come to the monastery to become professional singers or artists or vine growers or winemakers. Nor can we say we live pure, pristine lives of prayer because we are far from being perfect. The heart of monastic life is seeking God. So the question I constantly have to ask myself is, “Can I find God even in my brothers with whom I live, work and pray?” Whatever it is that I am doing, whether it be chanting scripture with my brothers in church or tending the vines in our vineyard, I know I can find God because God chooses to save less than perfect people and makes his dwelling there.